Robert Clotworthy is a shareholder in the Firm's New Orleans office. 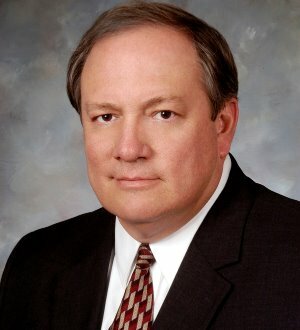 For more than 30 years his practice has focused on maritime personal injury, energy, marine casualties and insurance coverage disputes. Mr. Clotworthy represents maritime employers in personal injury defense litigation in the areas of ocean and inland marine and energy and liability, with particular emphasis on onshore and offshore oilfield, river and port-related casualties. This work has involved vessel owners, operators, commercial fishing fleets, casinos, bridges, dock and terminal owners, port authorities, and underwriters in connection with collisions and allisions, groundings and sinkings, pollution, property damage and fire-related casualties over the past 30 years in the Port of New Orleans, Gulf of Mexico and overseas. Additionally, his representation has extended to general liability and marine underwriters in regard to coverage issues involving a broad range of marine, yacht, general liability, primary, excess and umbrella forms of coverage, including representing the interests of underwriters in litigation arising out of coverage disputes. Mr. Clotworthy has been awarded the "AV" rating by the Martindale-Hubbell Law Directory, which is the highest possible rating for legal ability and ethical standards.